Quick. Name four pillar pediatric organizations on the vanguard of advancing pediatric research. Most researchers and clinicians can rattle off the names of the Academic Pediatric Association, the American Academy of Pediatrics and the American Pediatric Society. But that fourth one, the Society for Pediatric Research (SPR), is a little trickier. While many know SPR, a lot of research-clinicians simply do not. 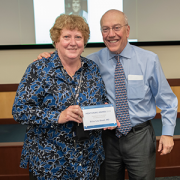 Over the next few years, Beth A. Tarini, M.D., MS, will make it her personal mission to ensure that more pediatric researchers get to know SPR and are so excited about the organization that they become active members. In May 2019 Dr. Tarini becomes Vice President of the society that aims to stitch together an international network of interdisciplinary researchers to improve kids’ health. Four-year SPR leadership terms begin with Vice President before transitioning to President-Elect, President and Past-President, each for one year. Dr. Tarini says she looks forward to working with other SPR leaders to find ways to build more productive, collaborative professional networks among faculty, especially emerging junior faculty. “Facilitating ways to network for research and professional reasons across pediatric research is vital – albeit easier said than done. I have been told I’m a connector, so I hope to leverage that skill in this new role,” says Dr. Tarini, associate director for Children’s Center for Translational Research. SPR requires that its members not simply conduct research, but move the needle in their chosen discipline. In her research, Dr. Tarini has focused on ensuring that population-based newborn screening programs function efficiently and effectively with fewer hiccups at any place along the process. Thanks to a heel stick to draw blood, an oxygen measurement, and a hearing test, U.S. babies are screened for select inherited health conditions, expediting treatment for infants and reducing the chances they’ll experience long-term health consequences. “The complexity of this program that is able to test nearly all 4 million babies in the U.S. each year is nothing short of astounding. You have to know the child is born – anywhere in the state – and then between 24 and 48 hours of birth you have to do testing onsite, obtain a specific type of blood sample, send the blood sample to an off-site lab quickly, test the sample, find the child if the test is out of range, get the child evaluated and tested for the condition, then send them for treatment. Given the time pressures as well as the coordination of numerous people and organizations, the fact that this happens routinely is amazing. And like any complex process, there is always room for improvement,” she says. Dr. Tarini’s research efforts have focused on those process improvements. As just one example, the Advisory Committee on Heritable Disorders in Newborns and Children, a federal advisory committee on which she serves, was discussing how to eliminate delays in specimen processing to provide speedier results to families. One possible solution floated was to open labs all seven days, rather than just five days a week. Dr. Tarini advocated for partnering with health care engineers who could help model ways to make the specimen transport process more efficient, just like airlines and mail delivery services. A more efficient and effective solution was to match the specimen pick-up and delivery times more closely with the lab’s operational times – which maximizes lab resources and shortens wait times for parents. Conceptual modeling comes so easily for her that she often leaps out of her seat mid-sentence, underscoring a point by jotting thoughts on a white board, doing it so often that her pens have run dry. “It’s like a bus schedule: You want to find a bus that not only takes you to your destination but gets you there on time,” she says. Dr. Tarini’s current observational study looks for opportunities to improve how parents in Minnesota and Iowa are given out-of-range newborn screening test results – especially false positives – and how that experience might shake their confidence in their child’s health as well as heighten their own stress level. “After a false positive test result, are there parents who walk away from newborn screening with lingering stress about their child’s health? Can we predict who those parents might be and help them?” she asks. Among the challenges is the newborn screening occurs so quickly after delivery that some emotionally and physically exhausted parents may not remember it was done. Then they get a call from the state with ominous results. Another challenge is standardizing communication approaches across dozens of birthing centers and hospitals. 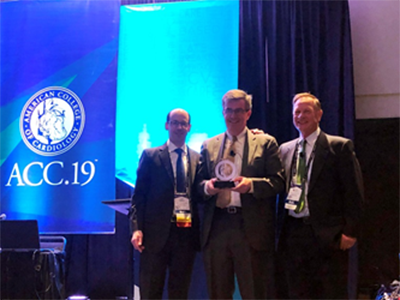 Dr. Gerard Martin, center, accepts an award before delivering the 2019 Dan G. McNamara Keynote lecture at ACC.19. 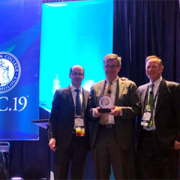 “Innovation meets tradition,” is how many attendees and journalists described the American College of Cardiology’s 68th Scientific Sessions (ACC.19), which took place March 16-18, 2019 in New Orleans, La. Gerard Martin, M.D., F.A.A.P., F.A.C.C., F.A.H.A., a pediatric cardiologist and the medical director of Global Services at Children’s National, supported this narrative by referencing both themes in his 2019 Dan G. McNamara keynote lecture, entitled “Improved Outcomes in Congenital Heart Disease through Advocacy and Collaboration.” Dr. Martin highlighted advancements in the field of pediatric cardiology that took place over the past 15 years, while touting modern advancements – such as pulse oximetry screenings for critical congenital heart disease – that were a result of physician-led advocacy and collaboration. 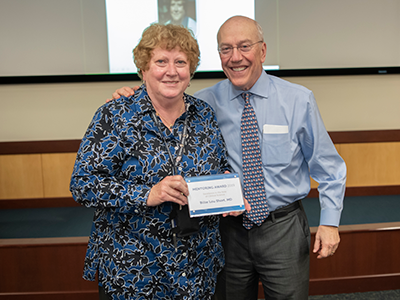 Dr. Martin’s message was to continue to invest in research and technology that leads to medical breakthroughs, but to remember the power of partnerships, such as those formed by the National Pediatric Cardiology Quality Improvement Collaborative. These alliances, which generated shared protocols and infrastructure among health systems, improved interstage mortality rates between surgeries for babies born with hypolastic left heart syndrome. Sarah Clauss, M.D., F.A.C.C., a cardiologist, presented “Unique Pediatric Differences from Adult Cholesterol Guidelines: Lipids and Preventive Cardiology,” before Charles Berul, M.D., division chief of cardiology and co-director of the Children’s National Heart Institute, presented “Unique Pediatric Differences from Adult Guidelines: Arrhythmias in Adults with Congenital Heart Disease,” in a joint symposium with the American Heart Association and the American College of Cardiology. Berul, who specializes in electrophysiology, co-chaired a congenital heart disease pathway session, entitled “Rhythm and Blues: Electrophysiology Progress and Controversies in Congenital Heart Disease,” featuring components of pediatric electrophysiology, including heart block, surgical treatment of arrhythmias and sudden death risk. Anita Krishnan, M.D., associate director of the echocardiography lab, presented “Identifying Socioeconomic and Geographic Barriers to Prenatal Detection of Hypoplastic Left Heart Syndrome and Transposition of the Great Arteries” as a moderated poster in Fetal Cardiology: Quickening Discoveries. Jennifer Romanowicz, M.D., a cardiology fellow, and Russell Cross, M.D., director of cardiac MRI, presented the “Neonatal Supraventricular Tachycardia as a Presentation of Critical Aortic Coarctation” poster in FIT Clinical Decision Making: Congenital Heart Disease 2. Pranava Sinha, M.D., a cardiac surgeon, presented the poster “Neuroprotective Effects of Vitamin D Supplementation in Children with Cyanotic Heart Defects: Insights from a Rodent Hypoxia Model” in Congenital Heart Disease: Therapy 2. Ashraf Harahsheh, M.D., F.A.C.C., F.A.A.P., a cardiologist with a focus on hyperlipidemia and preventive cardiology, co-presented an update about BMI quality improvement (Q1) activity from the American College of Cardiology’s Adult Congenital and Pediatric Quality Network – BMI Q1 leadership panel. Niti Dham, M.D., director of the cardio-oncology program, and Deepa Mokshagundam, M.D., cardiology fellow, presented the poster “Cardiac Changes in Pediatric Cancer Survivors” in Heart Failure and Cardiomyopathies: Clinical 3. Nancy Klein, B.S.N., R.N., C.P.N., clinical program coordinator of the Washington Adult Congenital Heart program at Children’s National, presented the poster “Improving Completion of Advanced Directives in Adults with Congenital Heart Disease” in Risks and Rewards in Adult Congenital Heart Disease. Jai Nahar, M.D., a cardiologist, moderated “Future Hub: Augmented Cardiovascular Practitioner: Giving Doctors and Patients a New Voice.” The session focused on technical aspects of artificial intelligence, such as language processing and conversational artificial intelligence, as well as how applications are used in patient-physician interactions. Dr. Krishnan’s study was the collaborative effort of 21 centers in the United States and Canada, and investigated how socioeconomic and geographic factors affect prenatal detection of hypoplastic left heart syndrome and transposition of the great arteries. Over the past several decades, it’s become increasingly recognized that perinatal mood and anxiety disorders (PMADs), including postpartum depression, are more than just “baby blues.” They’re the most common complication of childbirth in the U.S., affecting about 14 percent of women in their lifetimes and up to 50 percent in some specific populations. PMADs can lead to a variety of adverse outcomes for both mothers and their babies, including poor breastfeeding rates, poor maternal-infant bonding, lower infant immunization rates and maternal suicides that account for up to 20 percent of postpartum deaths. But while it’s obvious that PMADs are a significant problem, finding a way to solve this issue is far from clear. 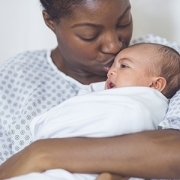 In a policy statement published December 2018 in the journal Pediatrics, the American Academy of Pediatrics recommends that pediatric medical homes coordinate more effectively with prenatal providers to ensure PMAD screening occurs for new mothers at well-child checkups throughout the first several weeks and months of infancy and use community resources and referrals to ensure women suffering with these disorders receive follow-up treatment. To help solve the huge issue of PMADs requires a more comprehensive approach, suggests Lenore Jarvis, M.D., MEd, an emergency medicine specialist at Children’s National Health System. A poster that Dr. Jarvis and colleagues from Children’s Perinatal Mental Health Taskforce recently presented at the American Academy of Pediatrics 2018 National Convention and Exhibit in Orlando, Florida, details the integrated care to help women with PMADs that originated at Children’s National and is being offered at several levels, including individual, interpersonal, organizational, community and policy. The poster was ranked best in its section for the Council on Early Childhood. At the base level of care for mothers with possible PMADs, Dr. Jarvis says, are the one-on-one screenings that take place in primary care clinics. Currently, all five of Children’s primary care clinics screen for mental health concerns at annual visits. At the 2-week, 1-, 2-, 4- and 6-month visits, mothers are screened for PMADs using the Edinburgh Postnatal Depression Scale, a validated tool that’s long been used to gauge the risk of postpartum depression. 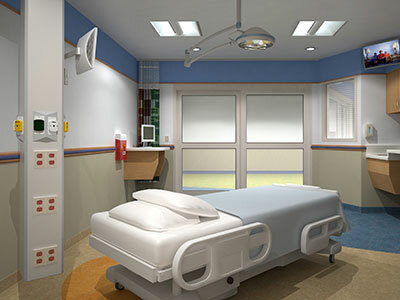 In addition, recent studies at Children’s neonatal intensive care unit (NICU) and emergency department (ED) suggest that performing PMAD screenings in these settings as well could help catch even more women with these disorders: About 45 percent of parents had a positive screen for depression at NICU discharge, and about 27 percent of recent mothers had positive screens for PMADs in the ED. To further these efforts, Children’s National recently started a Perinatal Mental Health Taskforce to promote multidisciplinary collaboration and open communication with providers among multiple hospital divisions. This taskforce is working together to apply lessons learned from screening in primary care, the NICU and the ED to discuss best practices and develop hospital-wide recommendations. They’re also sharing their experiences with hospitals across the country to help them develop best practices for helping women with PMADs at their own institutions. Furthering its commitment to PMAD screening, Children’s National leadership set a goal of increasing screening in primary care by 15 percent for fiscal year 2018 – then exceeded it. Children’s National is also helping women with PMADs far outside the hospital’s walls by developing a PMAD screening toolkit for other providers in Washington and across the country and by connecting with community partners through the DC Collaborative for Mental Health in Pediatric Primary Care. In April 2019, the hospital will host a regional perinatal mental health conference that not only will include its own staff but also staff from other local hospitals and other providers who care for new mothers, including midwives, social workers, psychologists, community health workers and doulas. Finally, on a federal level, Dr. Jarvis and colleagues are part of efforts to obtain additional resources for PMAD screening, referral and treatment. They successfully advocated for Congress to fully fund the Screening and Treatment for Maternal Depression program, part of the 21st Century Cures Act. And locally, they provided testimony to help establish a task force to address PMADs in Washington. Together, Dr. Jarvis says, these efforts are making a difference for women with PMADs and their families. “All this work demonstrates that you can take a problem that is very personal, this individual experience with PMADS, and work together with a multidisciplinary team in collaboration to really have an impact and promote change across the board,” she adds. 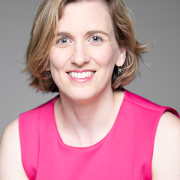 In addition to Dr. Jarvis, the lead author, Children’s co-authors include Penelope Theodorou, MPH; Sarah Barclay Hoffman, MPP, Program Manager, Child Health Advocacy Institute; Melissa Long, M.D. ; Lamia Soghier M.D., MEd, NICU Medical Unit Director; Karen Fratantoni M.D., MPH; and Senior Author Lee Beers, M.D., Medical Director, Municipal and Regional Affairs, Child Health Advocacy Institute. Pediatric anesthesiologist Julia C. Finkel, M.D., of Children’s National Health System, gazed into the eyes of a newborn patient determined to find a better way to measure the effectiveness of pain treatment on one so tiny and unable to verbalize. Then she realized the answer was staring back at her. 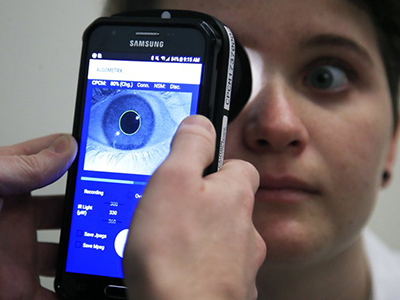 Armed with the knowledge that pain and analgesic drugs produce an involuntary response from the pupil, Dr. Finkel developed AlgometRx, a first-of-its-kind handheld device that measures a patient’s pupillary response and, using proprietary algorithms, provides a diagnostic measurement of pain intensity, pain type and, after treatment is administered, monitors efficacy. Her initial goal was to improve the care of premature infants. She now has a device that can be used with children of any age and adults. The current standard of care for measuring pain is the 0-to-10 pain scale, which is based on subjective, observational and self-reporting techniques. Patients indicate their level of pain, with zero being no pain and ten being highest or most severe pain. This subjective system increases the likelihood of inaccuracy, with the problem being most acute with pediatric and non-verbal patients. Moreover, Dr. Finkel points out that subjective pain scores cannot be standardized, heightening the potential for misdiagnosis, over-treatment or under-treatment. She notes that opioids are prescribed for patients who report high pain scores and are sometimes prescribed in cases where they are not appropriate. Dr. Finkel points to the example of sciatica, a neuropathic pain sensation felt in the lower back, legs and buttocks. Sciatica pain is carried by touch fibers that do not have opioid receptors, which makes opioids an inappropriate choice for treating that type of pain. A pain biomarker could rapidly advance both clinical practice and pain research, Dr. Finkel adds. For clinicians, the power to identify the type and magnitude of a patient’s nociception (detection of pain stimuli) would provide a much-needed scientific foundation for approaching pain treatment. Nociception could be monitored through the course of treatment so that dosing is targeted and personalized to ensure patients receive adequate pain relief while reducing side effects. “A validated measure to show whether or not an opioid is indicated for a given patient could ease the health care system’s transition from overreliance on opioids to a more comprehensive and less harmful approach to pain management,” says Dr. Finkel. She also notes that objective pain measurement can provide much needed help in validating complementary approaches to pain management, such as acupuncture, physical therapy, virtual reality and other non-pharmacological interventions. Dr. Finkel’s technology, called AlgometRx, has been selected by the U.S. Food and Drug Administration (FDA) to participate in its “Innovation Challenge: Devices to Prevent and Treat Opioid Use Disorder.” She is also the recipient of Small Business Innovation Research (SBIR) grant from the National Institute on Drug Abuse. 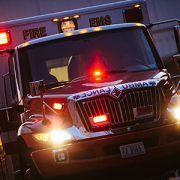 The 2-year-old scampered unexpectedly into a room, startling a family member. Thinking the toddler was an intruder, the family member fired, hitting the child in the chest. 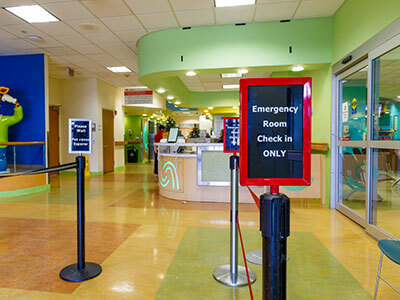 In the emergency department at Children’s National Health System, Lenore Jarvis, M.D. MEd, FAAP, emergency medicine specialist, and colleagues tried to save the boy’s life, inserting tubes, transfusing blood and attempting to restart his dying heart via CPR. The Children’s team was unsuccessful and emerged covered in the blood of a boy whose death was heartbreaking and preventable. 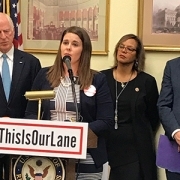 “Firearm violence is a leading cause of childhood traumatic death and injury,” Dr. Jarvis told attendees of a recent congressional news conference intended to prod the incoming Congress to take more concrete action to prevent firearm violence. She provided snapshots of some of the countless lives of local youths cut short by firearms, including an 8-year-old girl killed on a playground in a drive-by shooting, a 13-year-old young man murdered during a fight, a 15-year-old young woman who committed suicide and an entire family who died from firearm injuries. “I wish it were not so. But these stories are endless. 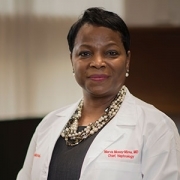 In our emergency department, the effects of gun violence are frequent, life-altering and personal,” Dr. Jarvis said. 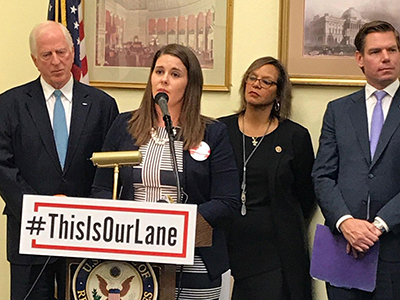 The #ThisISOurLane press conference, convened by U.S. Rep. Robin Kelly, (D-Illinois), included haunting stories by clinicians from across the nation about the devastating impact of firearm injuries on children and youth. According to a retrospective, cross-sectional study led by Children’s researchers, younger children are more likely to be shot by accident, and odds are higher that older youths are victims of an assault involving a firearm. “Gun violence is a public health crisis and should be addressed as such. We need to reduce the numbers of suicides, homicides and accidental gun deaths in children,” added Dr. Jarvis, who also is president-elect of the District of Columbia Chapter of the American Academy of Pediatrics. During the news conference, U.S. Rep. Frank Pallone Jr., (D-New Jersey), vowed that the House Energy and Commerce Committee he chairs this session will move forward languishing bills, including funding the Centers for Disease Control Prevention to conduct firearms violence research. 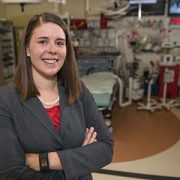 To help clinicians provide better care to families after children die, Tessie W. October, M.D., MPH, and colleagues recently published an article on this topic in a special supplement to Pediatric Critical Care Medicine on death and dying. Death and dying are always difficult topics to discuss at hospitals. 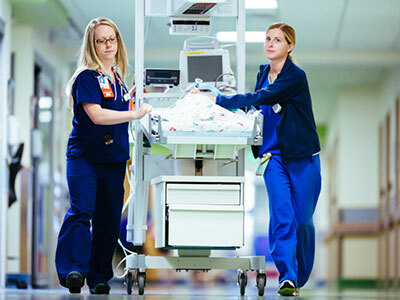 They’re especially hard conversations when they occur within pediatric intensive care units (PICUs), says Tessie W. October, M.D., MPH, a critical care specialist at Children’s National. “It’s almost easier to pretend that children don’t die in the ICU. But they do,” Dr. October says. Tragically, some children do die in ICUs. However, even when pediatric patients die, Dr. October adds, the pediatric care team’s relationship with the bereaved family continues. Knowing how to help vulnerable families during these trying times and ensuring they have needed resources can be critical to lessening the health and social consequences of grief. To help clinicians provide better care to families after children die, Dr. October and colleagues recently published an article on this topic in a special supplement to Pediatric Critical Care Medicine on death and dying. The multi-institutional research team performed a narrative literature review for this budding field. They pored through more than 75 papers to better understand the health outcomes of parents whose child died within a PICU and the different ways that hospitals help families cope with these tragedies. The researchers found a range of detrimental health outcomes, from a significantly increased risk of parental death in the aftermath of a child’s death to higher rates of myocardial infarction, cancer and multiple sclerosis. Bereaved parents used more health care resources themselves, took more sick days and had more sleep problems than parents who weren’t bereaved. Likewise, parents whose child died were at a high risk of experiencing mental health conditions including complicated grief, anxiety, depression and posttraumatic stress disorder. Divorce was eight times higher among bereaved parents compared with the general population, and financial crises were common after voluntary or involuntary unemployment. Providing easy access to professional support, such as chaplains, social workers and grief coordinators. Even simple acts such as closing doors and blinds to provide privacy can be helpful, Dr. October says. An ongoing relationship with health care providers is also important for helping parents grieve, she adds. Children’s National is among hospitals across the country to set up meetings for parents and other family members within weeks of a child’s death. This gives parents a chance to ask questions about what happened in the confusing blur of the PICU and to gather resources for themselves and surviving siblings. Children’s National also provides ongoing support through periodic calls, sending sympathy cards, attending funeral services and in a special annual memorial during which surviving family members release butterflies. Another way to help bereaved families is to make sure they have adequate information, she adds, particularly about the confusing subject of brain death. In a different study recently published in Chest Journal, Dr. October and Children’s colleagues sought to understand which information the public typically accesses about this topic. The team searched Google and YouTube using “brain dead” and “brain death” as search terms. They evaluated the top 10 results on both sites, assessing the accuracy of information using 2010 guidelines released by the American Academy of Neurology. They also assessed the reading level of websites and evaluated comments about the YouTube videos for content accuracy and tone. They found that there was inaccurate information on four of the 10 websites, six of the 10 videos and within 80 percent of the YouTube comments. Most of these inaccuracies dealt with using terms like brain death, coma and persistent vegetative state interchangeably. “These conditions are very different and affect how we treat patients,” Dr. October says. The average reading level of the websites was 12th grade, far too sophisticated for much of the public to comprehend, she adds. And the majority of comments on the YouTube videos were negative, often disparaging clinicians and deriding organ donation. In addition to Dr. October, co-authors of the Pediatric Critical Care Medicine study include Karen Dryden-Palmer, R.N., MSN, Ph.D., The Hospital for Sick Children; Beverley Copnell, Ph.D., BAppSc, R.N., Monash University; and Senior Author Kathleen L. Meert, M.D., FCCM, Children’s Hospital of Michigan. Dr. October’s co-authors for the Chest Journal article include Lead Author, Amy H. Jones, M.D., and co-author Zoelle B. Dizon, BA, both of Children’s National. Can pyruvate support metabolic function following heart surgery? 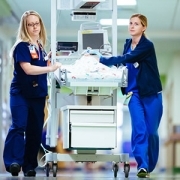 Nurses rush a child to the cardiac intensive care unit at Children’s National Health System. Can pyruvate, the end product of glycolysis, help improve cardiovascular function in children who have cardiopulmonary bypass surgery and suffer from low cardiac output syndrome (LCOS)? This question is one that Rafael Jaimes, Ph.D., a staff scientist at Children’s National Heart Institute, a division of Children’s National Health System, is studying, thanks to a two-year grant from the American Heart Association. The competitive grant awards Dr. Jaimes with $110,000 to study how pyruvate may help improve cardiac output among pediatric patients with LCOS. The compound aims to stimulate metabolic function, now treated by inotropic agents, such as dobutamine and milrinone. These agents ensure optimal delivery of oxygen from the heart to the brain, as well as to other organs in the body, following heart surgery. While these agents help patients with cardiac dysfunction, there is still a critical need for safe and effective therapies. This is where the pyruvate study, and the grant, will be applied: Can pyruvate target the essential muscle of the heart and reverse this cardiac destabilization – and as soon as possible? Better recovery could be measured by how fast a child recovers from heart surgery as well as how much time they spend in the hospital, clinically referred to as throughput. A faster recovery could also influence a child’s quality of life and reduce overall health care costs. Based on preliminary data that shows pyruvate improves cardiac function in experimental models after ischemic insult, which is what happens when pediatric patients undergo cardiac surgery, Dr. Jaimes believes the results will likely replicate themselves in his preclinical models. To start, he’ll test pyruvate using 100 blood samples and discarded tissue from patients. The blood samples will be tested for metabolic markers, including measured pyruvate levels. Part of what encouraged Dr. Jaimes to study how this compound could complement or replace standard therapies was the encouragement he received from his mentors in the field. As part of a discussion with cardiologists at a medical conference in Washington, Dr. Jaimes brought up the idea of using pyruvate for pediatric heart surgeries and received positive feedback. “Once everyone’s eyes lit up, I knew I was on to something,” says Dr. Jaimes about the encouragement he received to pursue this study. In addition to funding the study, which could support future research about how metabolic makers in the blood can be stimulated to fast-track recovery following heart surgery, the American Heart Association grant is specific to pediatric health outcomes. Dr. Jaimes explains that children are different on an anatomical and physiological level. Their cells even look and function different, compared to adult cells, because they haven’t matured yet. While congenital heart defects are rare, they affect 1 percent, or 40,000 births worldwide, they often require multiple surgeries throughout a child’s lifespan. LCOS impacts 25 percent of patients following cardiopulmonary bypass and the timing of treatment is important. In severe cases, insufficient cardiac output following surgery could impact a child’s long-term development, ranging from reasoning, learning, attention and executive function, to developing age-appropriate language and social skills. 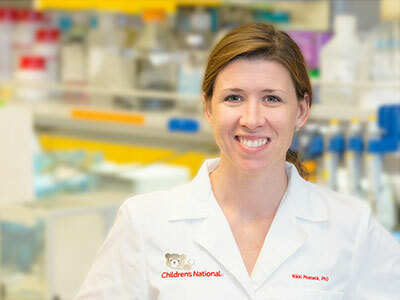 Dr. Jaimes will work with his research mentor Nikki Posnack, Ph.D., assistant professor at the Children’s National Heart Institute, on this preclinical study throughout the grant’s lifecycle, which starts in early January 2019 and ends in late December 2020.
https://innovationdistrict.childrensnational.org/wp-content/uploads/2018/12/Photo-of-nurses-in-the-cardiac-intensive-care-unit-at-Childrens-National.jpg 300 400 Innovation District https://innovationdistrict.childrensnational.org/wp-content/uploads/2018/11/idlogo1-tagline-Advances-in-Medicine.gif Innovation District2018-12-19 13:45:142019-01-18 10:14:34Can pyruvate support metabolic function following heart surgery? A Children’s research team found the number of children and adolescents visiting the nation’s emergency departments due to mental health concerns continued to rise at an alarming rate from 2012 through 2016, with mental health diagnoses for non-Latino blacks outpacing such diagnoses among youth of other racial/ethnic groups. The demand for mental health services continues to be high in the U.S., even among children. The Centers for Disease Control and Prevention (CDC) reports that one in seven U.S. children aged 2 to 8 had a diagnosed mental, behavioral or developmental disorder. In addition, 3 percent of U.S. children aged 3 to 17 had a diagnosis of anxiety, and 2.1 were diagnosed with depression, according to the CDC. Knowing which children use mental health services can help health care providers improve access and provide more targeted interventions. Children’s researchers recently investigated this question in the emergency room setting, reporting results from their retrospective cross-sectional study at the American Academy of Pediatrics (AAP) 2018 National Conference & Exhibition. The research team found the number of children and adolescents visiting the nation’s emergency departments due to mental health concerns continued to rise at an alarming rate from 2012 through 2016, with mental health diagnoses for non-Latino blacks outpacing such diagnoses among youth of other racial/ethnic groups. An estimated 17.1 million U.S. children are affected by a psychiatric disorder, making mental health disorders among the most common pediatric illnesses. Roughly 2 to 5 percent of all emergency department visits by children are related to mental health concerns. 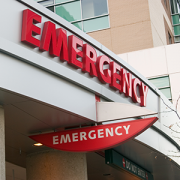 The research team hypothesized that within that group, there might be higher numbers of minority children visiting emergency departments seeking mental health services. To investigate this hypothesis, they examined Pediatric Health Information System data, which aggregates deidentified information from patient encounters at more than 45 children’s hospitals around the nation. Their analyses showed that in 2012, 50.4 emergency department visits per 100,000 children were for mental health-related concerns. By 2016, that figure had grown to 78.5 emergency department visits per 100,000 children. 51.5 per 100,000 non-Latino white children received mental health-related diagnoses. Because the study did not include reviews of individual charts or interviews with patients or providers, the reason for the disparate demand for mental health resources remains unclear. *The number of patient visits during the five-year study period was revised on Nov. 1 2018, after updated analyses. According to a retrospective, cross-sectional study led by Children’s researchers, younger kids are more likely to be shot by accident, and odds are higher that older youths are victims of an assault involving a firearm. An increasing number of children are injured by firearms in the U.S. each year, but the reasons these injuries happen vary. 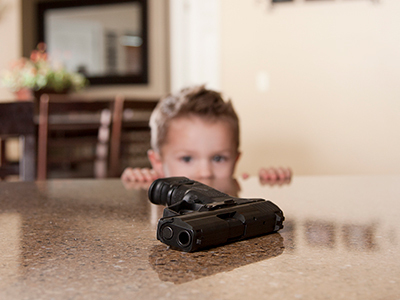 According to a new retrospective, cross-sectional study led by Children’s researchers and presented at the American Academy of Pediatrics (AAP) 2018 National Conference & Exhibition, firearm injuries vary by the intent of the person discharging the weapon. Younger kids are more likely to be shot by accident, and odds are higher that older youths are victims of an assault involving a firearm. Efforts to protect children from firearm-related injuries should factor in these differences in intent as legislation and policies are drafted, the study team suggests. Researchers led by Shilpa J. Patel, M.D., MPH, Children’s assistant professor of pediatrics and emergency medicine, reviewed data aggregated in the Nationwide Emergency Department Sample from 2009 to 2013 looking for emergency department visits to treat firearm-related injuries suffered by children and adolescents 21 and younger. They excluded emergency department visits for firearm-related injuries attributed to air, pellet, BB or paintball guns. 1 percent died from their injuries. “Children younger than 12 were more likely to be shot by accident. By contrast, we found that the odds of experiencing firearm-related injuries due to assault were higher for youths aged 18 to 21,” Dr. Patel says. “Physicians can play a powerful role in preventing pediatric firearm-related injuries by routinely screening for firearm access and speaking with families about safe firearm storage and violence prevention,” she adds. Some 52.1 percent of children with firearm-related injuries lived with families whose median household incomes exceeded $56,486. Shilpa J. Patel, M.D., MPH, assistant professor of pediatrics and emergency medicine and lead author, Gia M. Badolato, MPH, senior clinical research data manager and study co-author, Kavita Parikh, M.D., MS, associate professor of pediatrics and study co-author, and Monika K. Goyal, M.D., MSCE, assistant division chief and director of Academic Affairs and Research in the Division of Emergency Medicine and study senior author, all of Children’s National Health System; and Sabah F. Iqbal, M.D., medical director, PM Pediatrics, study co-author. 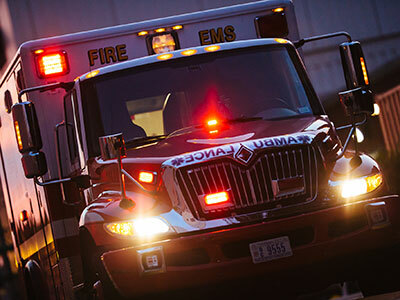 Data collected by a multi-institutional research team show that kids’ pain from long bone fractures may be managed differently in the emergency department depending on the child’s race and ethnicity. 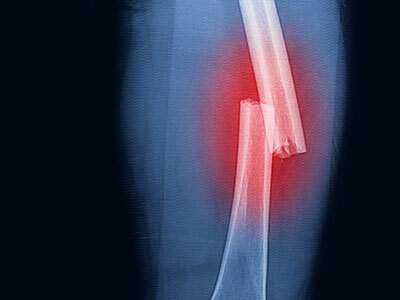 Children who experience broken bones universally feel pain. However, a new multi-institutional study presented at the American Academy of Pediatrics (AAP) 2018 National Conference & Exhibition suggests that emergency treatment for this pain among U.S. children is far from equal. Data collected by the research team show that kids’ pain may be managed differently in the emergency department depending on the child’s race and ethnicity. In particular, while non-Latino black children and Latino children are more likely to receive any analgesia, non-white children with fractured bones are less likely to receive opioid pain medications, even when they arrive at the emergency department with similar pain levels. 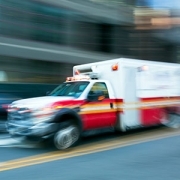 The AAP calls appropriately controlling children’s pain and stress “a vital component of emergency medical care” that can affect the child’s overall emergency medical experience. Because fractures of long bones – clavicle, humerus, ulna, radius, femur, tibia, fibula – are commonly managed in the emergency department, the research team tested a hypothesis about disparities in bone fracture pain management. 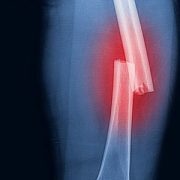 They conducted a retrospective cohort study of children and adolescents 21 and younger who were diagnosed with a long bone fracture from July 1, 2014, through June 30, 2017. 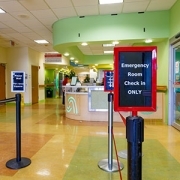 They analyzed deidentified electronic health records stored within the Pediatric Emergency Care Applied Research Network Registry, which collects data from all patient encounters at seven pediatric emergency departments. When compared with non-Hispanic white children, minority children were more likely to receive pain medication of any kind (i.e. non-Latino black patients were 58 percent more likely to receive any pain medication, and Latino patients were 23 percent more likely to receive any pain medication). When compared with non-Latino white children, minority children were less likely to receive opioid analgesia (i.e., non-Latino black patients were 30 percent less likely to receive opioid analgesia, and Latino patients were 28 percent less likely to receive opioid analgesia). 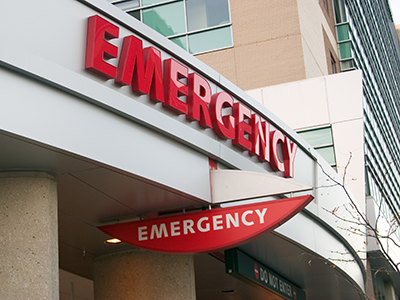 Dr. Goyal and colleagues are planning future research that will examine the factors that inform how and why emergency room physicians prescribe opioid analgesics. Monika K. Goyal, M.D., MSCE, and James M. Chamberlain, M.D., Children’s National; Tiffani J. Johnson, M.D., MSc, Scott Lorch, M.D., MSCE, and Robert Grundmeier, M.D., Children’s Hospital of Philadelphia; Lawrence Cook, Ph.D., Michael Webb, MS, and Cody Olsen, MS, University of Utah School of Medicine; Amy Drendel, DO, MS, Medical College of Wisconsin; Evaline Alessandrini, M.D., MSCE, Cincinnati Children’s Hospital; Lalit Bajaj, M.D., MPH, Denver Children’s Hospital; and Senior Author, Elizabeth Alpern, M.D., MSCE, Lurie Children’s Hospital. Even though chronic kidney disease (CKD) is a global epidemic that imperils cardiovascular health, impairs quality of life and heightens mortality, very little is known about how CKD uniquely impacts children and how kids may be spared from its more devastating effects. 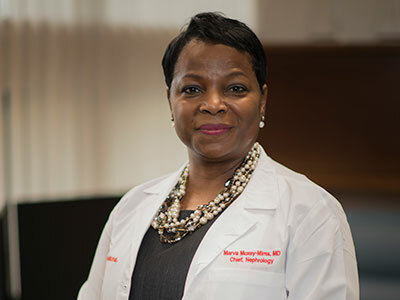 That makes a study published in the November 2018 issue of the American Journal of Kidney Diseases all the more notable because it represents the largest population-based study of CKD prevalence in a nationally representative cohort of adolescents aged 12 to 18, Sun-Young Ahn, M.D., and Marva Moxey-Mims, M.D., of Children’s National Health System, write in a companion editorial published online Oct. 18, 2018. In their invited commentary, “Chronic kidney disease in children: the importance of a national epidemiological study,” Drs. Ahn and Moxey-Mims point out that pediatric CKD can contribute to growth failure, developmental and neurocognitive defects and impaired cardiovascular health. At its early stages, pediatric CKD usually has few symptoms, and clinicians around the world lack validated biomarkers to spot the disease early, before it may become irreversible. While national mass urine screening programs in Japan, Taiwan and Korea have demonstrated success in early detection of CKD, which enabled successful interventions, such an approach is not cost-effective for the U.S., Drs. Ahn and Moxey-Mims write. “We need a comprehensive, national registry just for pediatric CKD, a database that represents the entire U.S. population that we could query to glean new insights about what improves kids’ lifespan and quality of life. 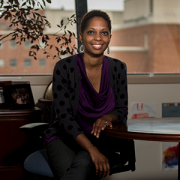 With a large database of anonymized pediatric patient records we could, for example, assess the effectiveness of specific therapeutic interventions, such as angiotensin-converting enzyme inhibitors, in improving care and slowing CKD progression in kids,” Dr. Moxey-Mims adds. Do plastic chemicals contribute to the sudden death of patients on dialysis? 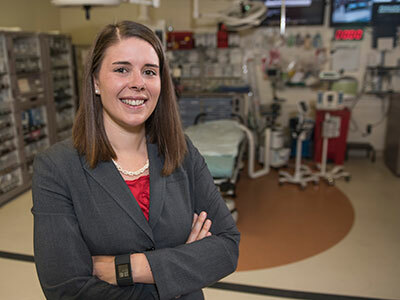 Nikki Posnack, Ph.D., assistant professor with the Children’s National Heart Institute, continues to explore how repeat chemical exposure from medical devices influences cardiovascular function. In a review published in HeartRhythm, Nikki Posnack, Ph.D., an assistant professor at the Children’s National Heart Institute, and Larisa Tereshchenko, M.D., Ph.D., FHRS, a researcher with the Knight Cardiovascular Institute at Oregon Health and Science University, establish a strong foundation for a running hypothesis: Replacing BPA- and DEHP- leaching plastics for alternative materials used to create medical devices may help patients on dialysis, and others with impaired immune function, live longer. While Drs. Tereshchenko and Posnack note clinical studies and randomized controlled trials are needed to test this theory, they gather a compelling argument by examining the impact exposure to chemicals from plastics used in dialysis have on a patient’s short- and long-term health outcomes, including sudden cardiac death (SCD). In this review, the authors explore chemical risk exposures in a medical setting, starting with factors that influence sudden cardiac death (SCD) among dialysis patients. SCD in dialysis patients accounts for one-third of deaths in this population. This prompts a need to develop prevention strategies, especially among patients with end-stage renal disease (ESRD). The highest mortality rate observed among dialysis patients is during the first year of hemodialysis, a dialysis process that requires a machine to take the place of the kidneys and remove waste from the bloodstream and replenish it with minerals, such as potassium, sodium and calcium. During this year, mortality during hemodialysis is observed more frequently during the first three months of treatment, especially among older patients. Drs. Tereshchenko and Posnack note that dialysis tubing and catheters are commonly manufactured using polyvinyl chloride (PVC) polymers. The phthalate plastics used to soften PVC can easily leech if exposed to lipid-like substances, like blood. 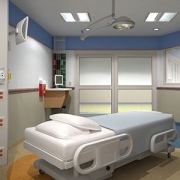 Research shows phthalate chemical concentrations increase during a four-hour dialysis. Di(2-ethylhexyl) phthalate (DEHP) is a common plastic used to manufacture dialysis tubes, thanks to its structure and economy. Bisphenol-A (BPA) is another common material used in medical device manufacturing. From the membranes of medical tools to resins, or external coatings and adhesives, BPA leaves behind a chemical residue on PVC medical devices. In reviewing the research, the authors find dialysis patients are often exposed to high levels of DEHP and BPA. The amount of exposure to these chemicals varies in regards to room temperature, time of contact, other circuit coatings and the flow rate of dialysis. A faster flow rate correlates with reductions in chemical leaching and lower mortality rates. Drs. Tereshchenko and Posnack note a causal relationship already exists between chemicals absorbed from plastics and cardiovascular outcomes. 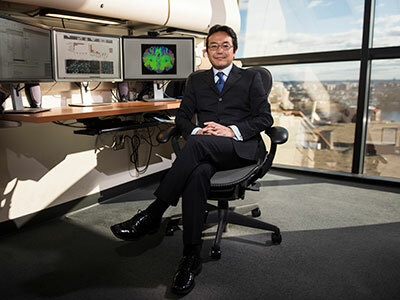 Dr. Posnack’s previous research found BPA concentrations impaired electrical conduction in neonatal cardiomyocytes – young, developing heart cells – potentially altering the heart’s normal rhythm and function. To the best of their knowledge, no clinical research has been conducted on DEHP exposure and SCD. However, proof-of-concept models find in vivo phthalate exposure alters autonomic regulation, which can slow down natural heart-rate rhythm and create a lag in recovery time to stressful stimuli. For humans, this type of stressful stimulation would be equivalent to recovering from a bike ride, car accident, or in this case, ongoing dialysis treatment with impaired immune function. In other models, BPA exposure has been shown to cause bradycardia, or a delayed heart rate. In excised whole heart models, BPA has also been shown to alter cardiac electrical activity. 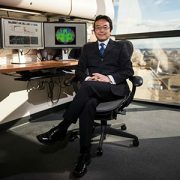 Since the heart and kidneys work in tandem to transport blood throughout the body, and manage vital functions, such as our heart rate, blood flow and breathing, the authors cite additional factors that lead to ongoing heart and kidney problems, with a look at end-stage renal disease (ESRD). General heart-function kidney risks include abnormal electrophysiological (EP) substrate, the underlying electrical activity of the cardiac tissue, and genetic risk factors, including the TBX3 gene, a gene associated with a unique positioning of the heart and SCD. To summarize their findings, Drs. Tereshchenko and Posnack list a handful of support areas, starting with observations about reductions in cardiovascular mortality and SCD following kidney transplants. They note hemodialysis catheters are associated with larger DEHP exposure and a higher risk of SCD, compared to arteriovenous fistulas, highways surgically created to connect blood from the artery to the vein. Drs. Posnack and Tereshchenko also note a correlative observation about higher SCD rates observed six hours after hemodialysis, when peak levels of DEHP and BPA are circulating in the bloodstream. To compare and control for these factors among dialysis patients, the researchers cite different mortality patterns with hemodialysis and peritoneal dialysis. Patients on hemodialysis experience higher mortality during the first year of treatment, compared to peritoneal dialysis, who have higher mortality rates after the second year of treatment. Hemodialysis relies on a machine to take the place of kidney function, while peritoneal dialysis relies on a catheter, a small tube surgically inserted into the stomach. “Our goal is to build on our previous research findings by analyzing variables that have yet to be studied before, and to update the field of medicine in the process,” says Dr. Posnack. “This includes investigating the cardiovascular risks of using BPA- and DEHP-materials to construct medical devices. Ultimately, we hope to determine whether plastic materials contribute to cardiovascular risks, and investigate whether patients might benefit from the use of alternative materials for medical devices. Drs. Tereshchenko and Posnack note that despite the associations between chemical exposure from medical devices and increased cardiovascular risks, there are no restrictions in the United States on the use of phthalates and BPA chemicals used to manufacture medical devices. Their future research will explore how replacing BPA- and DEHP-leaching plastics influence mortality and morbidity rates of ESRD patients on dialysis, as well as other patients exposed to repeat chemical exposure, such as patients having cardiac surgery. Dr. Posnack’s research is funded by two grants (R01HL139472, R00ES023477) from the National Institutes of Health. https://innovationdistrict.childrensnational.org/wp-content/uploads/2018/02/Nikki-Gillum-Posnack.jpg 300 400 Innovation District https://innovationdistrict.childrensnational.org/wp-content/uploads/2018/11/idlogo1-tagline-Advances-in-Medicine.gif Innovation District2018-09-05 18:44:152018-10-23 11:25:24Do plastic chemicals contribute to the sudden death of patients on dialysis? “Families who feel we’re really listening and care about what they have to say are more likely to feel comfortable as they put their child’s life in our hands a second, third or fourth time,” says Tessie W. October, M.D., M.P.H. In nearly every intensive care unit (ICU) at every pediatric hospital across the country, physicians hold numerous care conferences with patients’ family members daily. Due to the challenging nature of many these conversations – covering anything from unexpected changes to care plans for critically ill children to whether it’s time to consider withdrawing life support – these talks tend to be highly emotional. That’s why physician empathy is especially important, says Tessie W. October, M.D., M.P.H., critical care specialist at Children’s National Health System. Several studies have shown that when families believe that physicians hear, understand or share patients’ or their family’s emotions, patients can achieve better outcomes, Dr. October explains. When families feel like their physicians are truly empathetic, she adds, they’re more likely to share information that’s crucial to providing the best care. What’s the best way for physicians to show empathy? Dr. October and a multi-institutional research team set out to answer this question in a study published online in JAMA Network Open on July 6, 2018. With families’ consent, the researchers recorded 68 care conferences that took place at Children’s pediatric ICU (PICU) between Jan. 3, 2013, to Jan. 5, 2017. These conversations were led by 30 physicians specializing in critical care, hematology/oncology and other areas and included 179 family members, including parents. During these conferences, the most common decision discussed was tracheostomy placement – a surgical procedure that makes an opening in the neck to support breathing – followed by the family’s goals, other surgical procedures or medical treatment. Twenty-two percent of patients whose care was discussed during these conferences died during their hospitalization, highlighting the gravity of many of these talks. Followed by a second physician interrupting with more medical data. That compares with “unburied” empathy, which was followed only by a pause that provided the family an opportunity to respond. The research team examined what happened after each type of empathetic comment. The researchers found that physicians recognized families’ emotional cues 74 percent of the time and made 364 empathetic statements. About 39 percent of these statements were buried. In most of these instances, says Dr. October, the study’s lead author, the buried empathy either stopped the conversation or led to family members responding with a lack of emotion themselves. After the nearly 62 percent of empathetic statements that were unburied, families tended to answer in ways that revealed their hopes and dreams for the patient, expressed gratitude, agreed with care advice or expressed mourning—information that deepened the conversation and often offered critical information for making shared decisions about a patient’s care. Physicians missed about 26 percent of opportunities for empathy. This and striving to make more unburied empathetic statements are areas ripe for improvement, Dr. October says. Slow down and be in the moment. Pay close attention to what patients are saying so you don’t miss their emotional cues and opportunities for empathy. Remember the “NURSE” mnemonic. Empathetic statements should Name the emotion, show Understanding, show Respect, give Support or Explore emotions. Avoid using the word “but” as a transition. When you follow an empathetic statement with “but,” Dr. October says, it cancels out what you said earlier. Don’t be afraid to invite strong emotions. Although it seems counterintuitive, Dr. October says helping patients express strong feelings can help process emotions that are important for decision-making. In addition to Dr. October, study co-authors include Zoelle B. Dizon, BA, Children’s National; Robert M. Arnold, M.D., University of Pittsburgh Medical Center; and Senior Author, Abby R. Rosenberg, M.D., MS, University of Washington School of Medicine. Research covered in this story was supported by the National Institutes of Health under grants 5K12HD047349-08 and 1K23HD080902 and the National Center for Advancing Translational Sciences under Clinical and Translational Science Institute at Children’s National Health System grant number UL1TR0001876. Researchers found that even though young women with pelvic inflammatory disease (PID) are at increased risk for also being infected with syphilis and human immunodeficiency virus (HIV), few adolescent females diagnosed with PID in U.S. pediatric emergency departments (ED) undergo laboratory tests for HIV or syphilis. Sexually transmitted infections (STIs) are on the rise in the U.S., reaching unprecedented highs in recent years for the three most common STIs reported in the nation: chlamydia, gonorrhea and syphilis. Nearly half of the 20 million new STI cases each year are in adolescents aged 15 to 24, according to the Department of Health & Human Services. In particular, about two in five sexually active teen girls has an STI. These infections can be far more than an embarrassing nuisance; some can cause lifelong infertility. According to the Centers for Disease Control and Prevention, undiagnosed STIs cause infertility in more than 20,000 women each year. A new retrospective cohort study led by researchers at Children’s National Health System and published online July 24, 2018, in Pediatrics shines a stark spotlight on missed opportunities for diagnosis. Researchers found that even though young women with pelvic inflammatory disease (PID) are at increased risk for also being infected with syphilis and human immunodeficiency virus (HIV), few adolescent females diagnosed with PID in U.S. pediatric emergency departments (ED) undergo laboratory tests for HIV or syphilis. A team of Children’s researchers reviewed de-identified data from the Pediatric Health Information System, a database that aggregates encounter-level data from 48 children’s hospitals across the nation. From 2010 through 2015, there were 10,698 diagnosed cases of PID among young women aged 12 to 21. Although HIV and syphilis screening rates increased over the study period, just 27.7 percent of these women underwent syphilis screening, 22 percent were screened for HIV, and only 18.4 percent underwent lab testing for both HIV and syphilis. Screening rates varied dramatically by hospital, with some facilities screening just 2 percent of high-risk young women while others tested more than 60 percent. Untreated STIs can cause PID, an infection of a woman’s reproductive organs that can complicate her ability to get pregnant and also can cause infertility. Since 2006, the Centers for Disease Control and Prevention (CDC) has recommended that all women diagnosed with PID be tested for HIV. The CDC’s treatment guidelines also recommend screening people at high risk for syphilis. 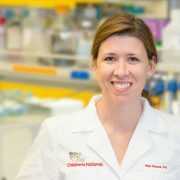 In addition to Dr. Goyal, Children’s study co-authors include Lead Author, Amanda Jichlinski, M.D. ; and co-authors, Gia Badolato, M.P.H., and William Pastor, M.A., M.P.H. Research reported in this news release was supported by the National Institute of Child Health and Human Development under K23 award number HD070910. 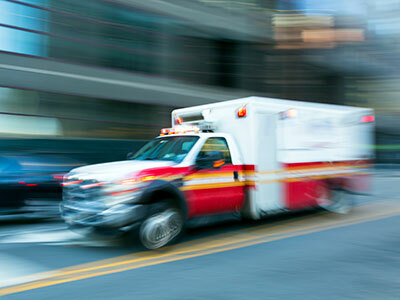 It’s a scenario that Children’s emergency medicine specialist Lenore Jarvis, M.D., M.Ed., has seen countless times: A mother brings her infant to the emergency department (ED) in the middle of the night with a chief complaint of the baby being fussy. Nothing she does can stop the incessant crying, she tells the triage nurse. When doctors examine the baby, they don’t see anything wrong. Often, this finding is reassuring. But, despite their best efforts to comfort her, the mother isn’t reassured and leaves the hospital feeling anxious and overwhelmed. After these encounters, Dr. Jarvis wondered: Might the mother be the actual patient? Postpartum depression (PPD) is the most common complication of childbirth, Dr. Jarvis explains, occurring in up to 20 percent of all mothers, and may be higher (up to 50 percent) in low-income and immigrant women. Far beyond simple “baby blues,” the mood disorder can have significant implications for the mother, her baby and the entire family. It can hinder mother-child bonding and lead to early discontinuation of breastfeeding, delayed immunizations, and child abuse and neglect. The associated effects on early brain development might cause cognitive and developmental delays for the infant and, later in life, can manifest as emotional and behavioral problems. PPD can disrupt relationships between parents. And suicide is the top cause of postpartum death. Mothers are supposed to be screened routinely for PPD at postpartum visits with their maternal or pediatric health care providers. In addition, several medical professional societies – including the American Academy of Pediatrics and the American College of Obstetricians and Gynecologists – now recommend screening for PPD in the prenatal and postnatal periods and during routine well-child visits in the outpatient setting. But these screenings often don’t happen, Dr. Jarvis says, either because doctors aren’t following the recommendations or parents aren’t attending these visits due to barriers to health care access or other problems. One way to sidestep these challenges, she says, is to provide PPD screening in the emergency setting. 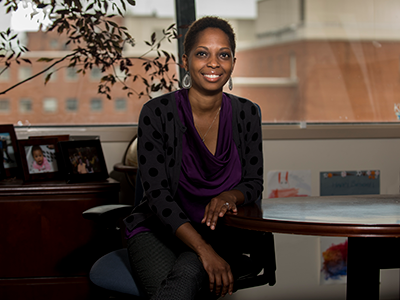 Dr. Jarvis and colleagues launched a pilot study in the Children’s ED to screen for PPD. For eight months beginning June 2015, the researchers invited English- and Spanish-speaking mothers who arrived at the ED with infants 6 months old or younger with complaints that didn’t necessitate immediate emergency care to take a short questionnaire on a computer tablet. This questionnaire included the Edinburgh Postnatal Depression Scale, a well-validated tool to screen for PPD, along with basic sociodemographic questions and queries about risk factors that other studies previously identified for PPD. Just over half agreed to participate. When Dr. Jarvis and colleagues analyzed the results from these 209 mothers, they found that 27 percent scored positive for PPD, more than the average from previous estimates. Fourteen of those mothers reported having suicidal thoughts. Surprisingly, nearly half of participants reported that they’d never been screened previously for PPD, despite standing recommendations for routine screenings at mother and baby care visits, the research team writes in findings published online May 5, 2018, in Pediatric Emergency Care. Based on the screening results, the researchers implemented a range of interventions. All mothers who participated in the study received an informational booklet from the March of Dimes on PPD. If mothers scored positive, they also received a local PPD resource handout and were offered a consultation with a social worker. Those with a strongly positive score were required to receive a social worker consultation and were given the option of “warm-line” support to PPD community partners, a facilitated connection to providers who offer individual or group therapy or home visits, or to a psychiatrist who might prescribe medication. Mothers with suicidal thoughts were assessed by a physician and assisted by crisis intervention services, if needed. When the researchers followed up with mothers who screened positive one month later, an overwhelming majority said that screening in the ED was important and that the resources they were given had been key for finding help. Many commented that even the screening process seemed like a helpful intervention. Many thanked her and colleagues for the follow-up call, she adds, saying that it felt good to be cared for and checked on weeks later. “It goes to show that putting support systems in place for these new mothers is very important,” she says. Dr. Jarvis and ED colleagues are currently collaborating with social workers, neonatology and other Children’s National Health System care partners to start screening mothers in the neonatal intensive care unit (NICU) and ED for PPD. 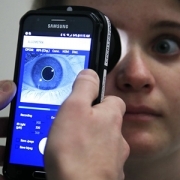 They plan to compare results generated by this universal screening to those in their study. 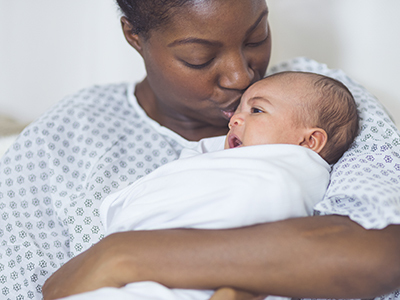 These findings will help researchers better understand the prevalence of PPD in mothers with higher triage acuity levels and how general rates of PPD for mothers in the ED and NICU compare with those generated in past studies based on well-child checks. Eventually, she says, they would like to study whether the interventions they prescribed affected the known consequences of PPD, such as breastfeeding, timely immunization rates and behavior outcomes. 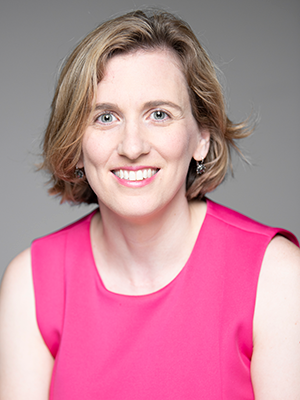 In addition to Dr. Jarvis, the lead study author, Children’s co-authors include Kristen A. Breslin, M.D., M.P.H. ; Gia M. Badolato, M.P.H. ; James M. Chamberlain, M.D. ; and Monika K. Goyal, M.D., MSCE, the study’s senior author. 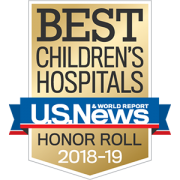 Children’s National rose in rankings to become the nation’s Top 5 children’s hospital according to the 2018-19 Best Children’s Hospitals Honor Roll released June 26, 2018, by U.S. News & World Report. Additionally, for the second straight year, Children’s Neonatology division led by Billie Lou Short, M.D., ranked No. 1 among 50 neonatal intensive care units ranked across the nation. Neurology and Neurosurgery (No. 5), led by Roger Packer, M.D., and Robert Keating, M.D. Cancer (No. 7), led by Jeffrey Dome, M.D., Ph.D.
Orthopedics (No. 8), led by Matthew Oetgen, M.D. For the eighth year running, Children’s National ranked in all 10 specialty services, which underscores its unwavering commitment to excellence, continuous quality improvement and unmatched pediatric expertise throughout the organization. The excellence of Children’s care is made possible by our research insights and clinical innovations. 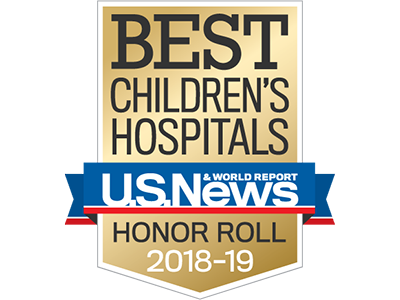 In addition to being named to the U.S. News Honor Roll, a distinction awarded to just 10 children’s centers around the nation, Children’s National is a two-time Magnet® designated hospital for excellence in nursing and is a Leapfrog Group Top Hospital. Children’s ranks seventh among pediatric hospitals in funding from the National Institutes of Health, with a combined $40 million in direct and indirect funding, and transfers the latest research insights from the bench to patients’ bedsides. The 12th annual rankings recognize the top 50 pediatric facilities across the U.S. in 10 pediatric specialties: cancer, cardiology and heart surgery, diabetes and endocrinology, gastroenterology and gastrointestinal surgery, neonatology, nephrology, neurology and neurosurgery, orthopedics, pulmonology and urology. Hospitals received points for being ranked in a specialty, and higher-ranking hospitals receive more points. The Best Children’s Hospitals Honor Roll recognizes the 10 hospitals that received the most points overall. This year’s rankings will be published in the U.S. News & World Report’s “Best Hospitals 2019” guidebook, available for purchase in late September. 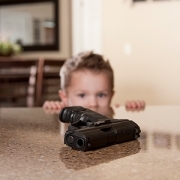 In a new study presented at the Pediatric Academic Societies (PAS) 2018 annual meeting, Children’s researchers find that states with stricter firearm laws have lower rates of firearm-related deaths in children. The same cross-sectional analyses also found that states with laws that mandate universal background checks prior to firearm and ammunition purchases were associated with lower rates of firearm-related mortality in children, compared with states that lack these laws. The research team analyzed data from the 2015 Web-based injury statistics query and reporting system maintained by the Centers for Disease Control and Prevention to measure the association between Brady Gun Law Scores – a scorecard that evaluates how strict firearms legislation and policies are in all 50 states – and state-based rates of firearm-related death among children aged 21 years and younger. In 2015, 4,528 children died from firearm-related injuries. Eighty-seven percent were male; 44 percent were non-Latino black; their mean age was 18. State-specific firearm-related mortality rates among children were as low as 0 per 100,000 to as high as 18 per 100,000. Median mortality rates were lower among the 12 states requiring universal background checks for firearm purchase at 3.8 per 100,000 children compared with 5.7 per 100,000 children in states that did not require background checks. Similarly, the five states with this requirement had a lower median mortality rate, 2.3 per 100,000 children, when compared with states that did not require background checks for ammunition purchase, 5.6 per 100,000 children. “Newtown. Orlando. Las Vegas. Parkland. Those are among the mass shootings that have occurred across the nation in recent years. While these tragedies often are covered heavily by the news media, they represent a subset of overall pediatric injuries and deaths due to firearms. Pediatric firearm-related injuries are a critical public health issue across the U.S.,” Dr. Goyal adds. “Pediatricians have helped to educate parents about other public health concerns, such as the danger posed by second-hand exposure to tobacco smoke or non-use of seat belts and car seats. In addition to presenting our most recent study results, members of our research group also hosted a workshop at PAS aimed at inspiring pediatric clinicians to similarly tackle this latest public health challenge and to advocate for firearm safety,” she says. In addition to Dr. Goyal, study co-authors include Gia Badolato; Shilpa Patel, M.D. ; Sabah Iqbal; Katie Donnelly, M.D. ; and Kavita Parikh, M.D., M.S.H.S.